The Best Friends Parrot Garden feeds Chop. The cockatiels get it everyday and the other birds get it three times a week. They have had great success with the concept and it has cut their food budget by about 70% because there is no waste. 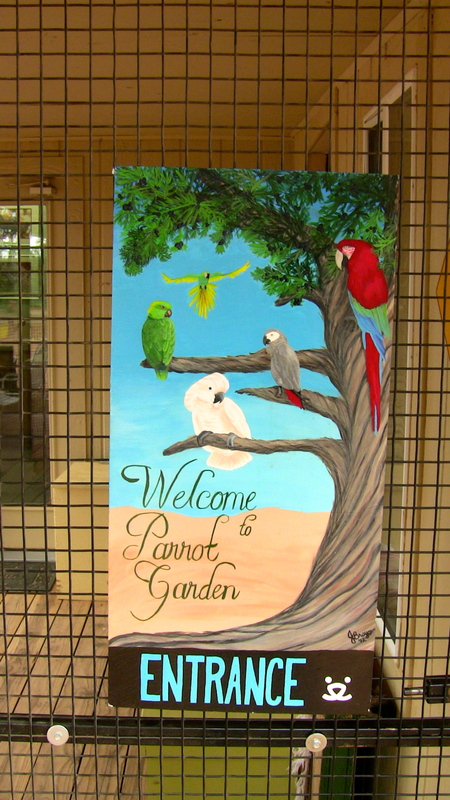 Dr. Patty Iampietro, one of the Vets at Best Friends is very happy with it and it works for their birds. I was lucky enough to see them eat Chop the other day. I just wanted to let you know how much I appreciated your web page Parrot Nation and your amazing CHOP food. I have a 2 year-old caique that I hand raised from 2 days old, and this baby has had chronic diarrhea since weaning. I have had him to the vet numerous times, and as he maintains perfect feather and weight, the avian vet feels he has a food allergy to pellets. So he has had us going down the road of trying different brands of pellets, to see if any of them bother him less! My poor baby! So 2 weeks ago, I started feeding him chop, it did take him some time to start eating it and i was supplementing him with pellets, but gradually decreasing as he was eating more chop. As of yesterday, my sweetie Kieran passed two perfect looking stools for the first time in his life! You could see the difference between the urates and the stool-which was formed! I cannot tell you how excited I was! Sorry for such a long blurb, but I am overjoyed at the improvement in this bird! It’s funny, but words really can’t express how excited we can get about poop! I may have asked this question before, and if so, please don’t shoot me, but …. Is there a written “recipe” for the chop? I will watch the video, but it would be helpful to have a shopping list! I’ll try and get you a paper I wrote for the American Federation of Aviculture. That should help you. Thanks, I really appreciate it! A dear friend of mine may have to re-home her Cockatoo, so I may be expanding the flock … at nearly $18/bag for pellets, this will really help with the costs of feeding the little darlings! I have managed to piece together a few recipes from online sites. Gonna give this a try perhaps this weekend. Love the 68 year old! I wonder if his buddy lets him know what is happening. What a beautiful place. Great blogs by the way.